Special Counsel Robert Mueller is leading the investigation into possible foreign interference into the 2016 U.S. presidential election. Connected to that probe, on Friday, Feb. 16, the U.S. Department of Justice announced a grand Jury had indicted 13 Russians and three Russian companies for an alleged scheme to Interfere that election. A letter released Sunday night details the key findings of the Mueller Report, the two-year investigation that probed into President Donald Trump's dealings with Russia and the possibility of collusion in the 2016 presidential election. The two-year investigation led by special counsel Robert Mueller, often dubbed a "witch hunt" by the president and his GOP supporters, found no evidence that the president coordinated with the Russian government during the election. Although this letter gives more insight into the ongoing controversy, the full report has not yet been released by the special counsel. Only a four-page letter from Attorney General William Barr, which outlines the key findings, was made available to lawmakers Sunday. In the letter, Barr wrote that "despite multiple offers from Russian-affiliated individuals to assist the Trump campaign," there was no conspiracy during election time. It also revealed that Mueller's investigations drew no conclusions as to whether the president illegally obstructed justice — however President Trump has not been exonerated. See the original document and an analysis done by The New York Times here. Shortly after the letter was put on social media, #ReleaseTheFullMuellerReport began trending on Twitter into Monday morning. You can bet social media had a lot to say on the matter, on both sides of the aisle. Here are the highlights. 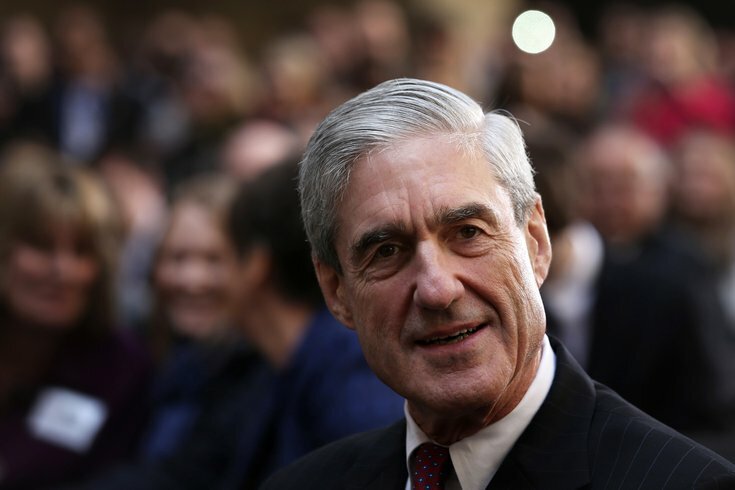 If you read any profile of Robert Mueller in the last two years, you know he's never been described as a Hamlet-like figure who has a hard time making a decision. Why couldn't he make one here? 22 months ago, I said Robert Mueller was an honest public servant who will get to the truth. And all those "witch hunt/deep state" folks who maligned Mueller's character for 22 months owe Robert Mueller an apology. He did his job and did it well. BREAKING NEWS: President @realDonaldTrump has been exonerated by Special Counsel Robert Mueller of ANY collusion with Russia to fix the 2016 Election - by either him or any of his campaign team. So the whole thing was a fake news witch-hunt, exactly as he said. Without even seeing one word of his report, we already know Robert Mueller exposed more felony indictments and wrongdoing in the Trump world than all 10 Benghazi investigations which produced, wait for it...zero indictments.